Alcoa Corporation is a global industry leader in the production of bauxite, alumina and aluminum, enhanced by a strong portfolio of value-added cast and rolled products and substantial energy assets. 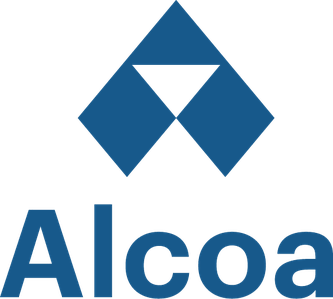 Alcoa Corporation draws on the innovation culture, customer relationships and strong brand of ParentCo. Previously known as the Aluminum Company of America, ParentCo pioneered the aluminum industry 128 years ago with the discovery of the first commercial process for the affordable production of aluminum. Since the discovery, Alcoa aluminum was used in the Wright brothers’ first flight (1903), ParentCo helped produce the first aluminum-sheathed skyscraper (1952), the first all-aluminum vehicle frame (1994) and the first aluminum beer bottle (2004). Today, Alcoa Corporation extends this heritage of product and process innovation as it strives to continuously redefine world-class operational performance at its locations, while partnering with its customers across its range of global products. We believe that the lightweight capabilities and enhanced performance attributes that aluminum offers across a number of end markets are in increasingly high demand and underpin strong growth prospects for Alcoa Corporation. Alcoa Corporation’s operations encompass all major production processes in the primary aluminum industry value chain, which we believe provides Alcoa Corporation with a strong platform from which to serve our customers in each critical segment. An opportunity exists for a Powerhouse Coordinator at Kwinana Refinery. This position is currently on a 12-hr shift based rotation. The Powerhouse Coordinator provides the management leadership and support systems to enable work teams and individuals to cohesively achieve the business plan and continually improve their effectiveness. The role has pivotal responsibilities with coordination and supervision of all aspects of the daily operations of the Kwinana Refinery’s Power Station. To be successful in the role you will be highly motivated, have strong communication and problem-solving skills as well as a proven ability to identify and develop improvement opportunities. This is a challenging leadership role where you will be responsible for managing the safety, work performance and people development of your team. The successful applicant will be highly motivated, have strong communication and problem solving skills as well as a proven ability to identify and develop improvement opportunities. This is a challenging leadership role where you will be responsible for managing the safety, work performance and people development of your team. Ideally you will have strong powerhouse experience or similar. Essential to this role are current certification in Turbine Operations and Advanced Boilers. Experience with Gas Turbine Cogeneration units is highly desirable. Ideally you will have a minimum of 5 years Powerhouse experience or similar, competencies and experience with Gas Turbines would be an advantage. Kwinana Alumina Refinery is located 40 kilometres south of Perth in the Kwinana Industrial Area. It is a major employer in the area with approximately 870 employees. An estimated 48 per cent of employees live in the neighbouring communities of Kwinana, Cockburn and Rockingham. This position is available only to permanent Australian residents or applicants who hold the relevant Visa with authority to work in Australia. Please ensure this information is clearly stated on your application. - This position is available only to permanent Australian residents or applicants who hold the relevant Visa with authority to work in Australia. Please ensure this information is clearly stated on your application.